ðŸ™Œ How is Second Year so far? First of all, can we just take a minute to question how it is already November?! I cannot believe that I am now 2 months into my second year already. It has absolutely flown by - Christmas and 2018 are just around the corner! I thought I would run through some of the highlights of the first term so far, as itâ€™s been a good one! Living in a house this year is very different to living in halls of residence - I lived in St Thomas Court for my first year. 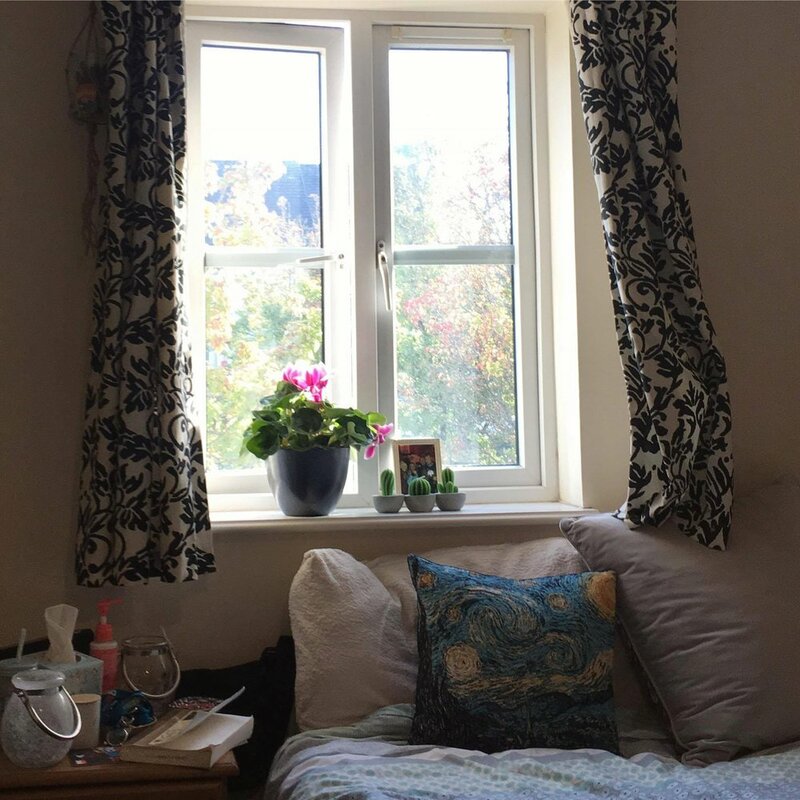 There are definitely plus sides to both, I do miss being around lots of other students and living in halls, but our house this year feels really cosy and it is not too far from uni. Iâ€™ve decorated my room just how I like it and made it feel homely! 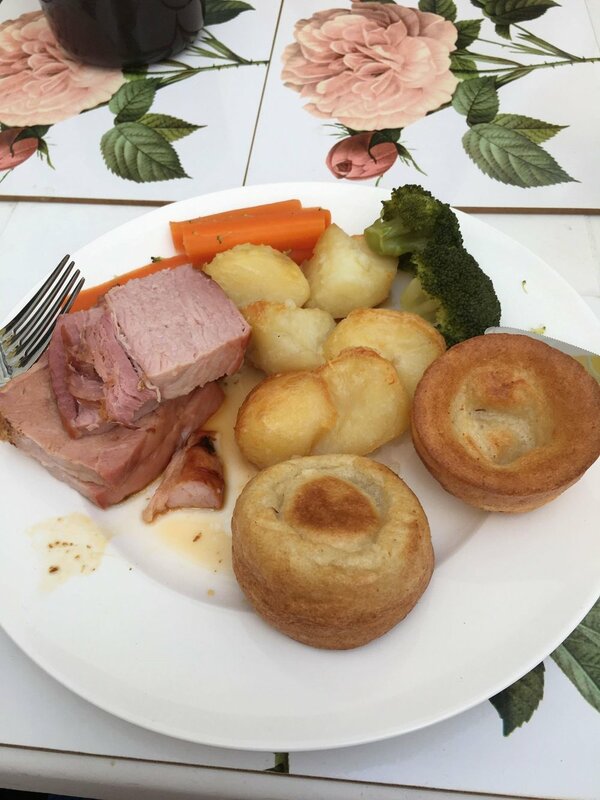 Weâ€™ve also had quite a few roast dinners, teaming up with my friend and her house. It doesnâ€™t cost much at all if you divide it between a lot of you, and it has got me through lots of Sundays of doing the reading for my Monday lectures! In October, we went on a trip with Art History to the RAMM museum in Exeter. 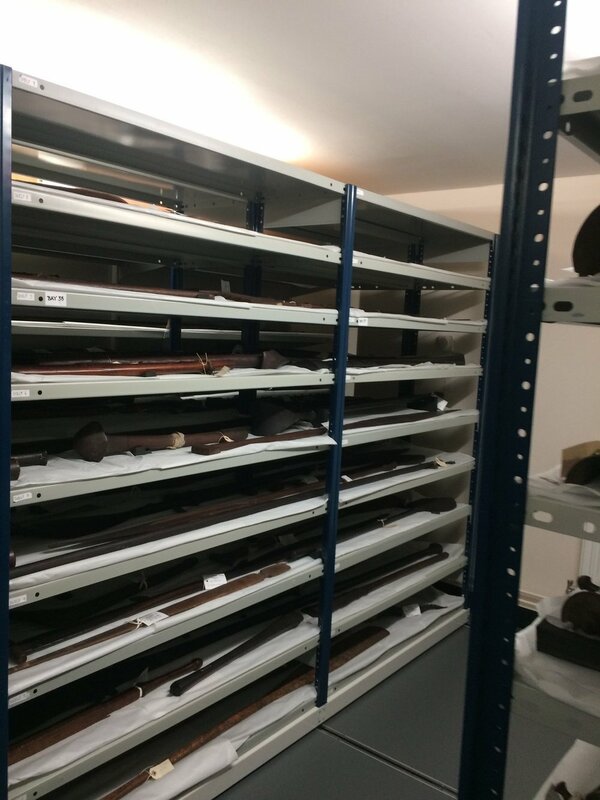 We were lucky enough to be given the chance to go â€˜behind the scenesâ€™ (as our lecturer knew the curator) and got to look into their private ethnographic collections. It was an eye-opening experience, being able to handle objects whilst they are not on exhibition. It helped me to see the sort of role a curator has in a gallery, and we also went to see the BP Portrait Award at the gallery while we were there. It was amazing! It was then Halloween, which is always a fun excuse to carve a pumpkin and dress up! 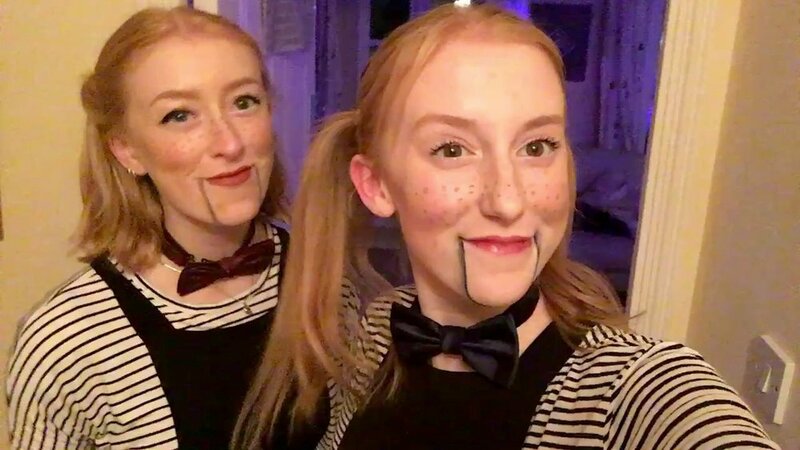 We had some friends round for drinks at our house, and my flat mate and I dressed up as Ventriloquist dolls for the night. We had a lot of comments asking if we were sisters or even twins â€“ we are neither, just a weird coincidence that I became best friends with someone who looks just like me at University! November the 5th then came along, so we went and watched the bonfire being lit on the Hoe and the accompanying fireworks afterwards. There were lots of fair ground rides too, and lots of yummy food! After being a course rep last year, I decided to be one again this year. I would highly recommend doing it â€“ you have to attend Staff/Student liaison meetings every term, so only 3 throughout the whole year. Itâ€™s a great way to give any feedback on your course/any issues directly to your tutors/head of course, and they genuinely do care and listen. You can help make the course even better for the future undergraduates! Plus, there is always biscuits/cake at ours â€“ the Art History team are the best! I only started blogging this year, and have found it a really positive experience so far. I love writing, and definitely want to go into a career which involves writing publicly, so itâ€™s great experience. Iâ€™ve also been involved in a few campaigns for the University, this has involved photoshoots which I brought a few friends along for. Although initially a bit worried (Iâ€™m not the most confident when it comes to having my photo taken! ), it was actually really fun, and a good way to earn a little bit of money too. Despite the harder readings and a lot more out-of-hours work, Iâ€™m actually really enjoying second year a lot more than I thought I would. After having completed a year of university, I feel a lot more settled in and I (sort of) know what Iâ€™m doing this time! We got to choose some of our modules this year, and it is nice being in lectures that I am really interested in. Ask me how itâ€™s going when the January coursework deadlines are approaching... but so far so good! We also have new studios this year on the Fine Art side (Iâ€™m on BA (Hons) Fine Art and Art History, if you have never read my posts before). 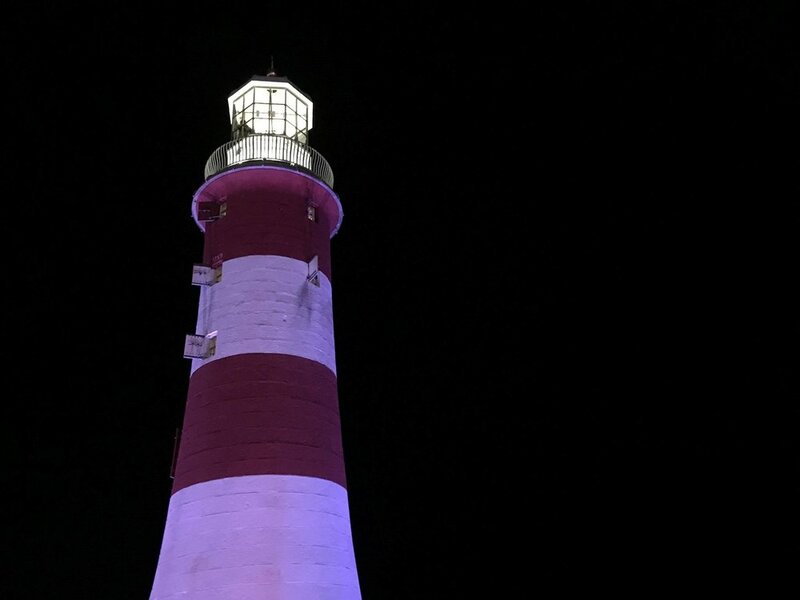 They are located at the Royal William Yard, and are the most beautiful and tranquil settings for art studios. Itâ€™s such a nice place to paint and have tutorials. Even if a little cold at this time of the year â€“ the struggles of an artistâ€™s studio! You can see my friend a I wrapped up in our scarves in the studio! Looking ahead to next term, we have an Art placement, which will be a good way to see what working in the industry will be like. Plus, we have an Art History trip to Florence in February, which I am SO excited for! Before we break up for Christmas, Iâ€™m looking forward to all the exciting things involved with the University for this festive time of year. The Christmas lights, the Christmas market, the UPSU Winter Ball, and many more things. Watch this space for more Christmas blog posts!